Extra durable drive gear is perfect for tough off-roading action. 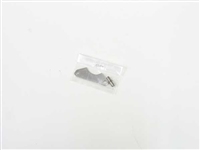 Use with ITEM 53813 NDF- 01 Reinforced Clutch Bell for the ultimate in durability. 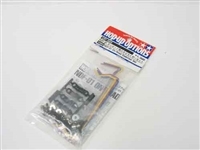 A set of damper springs for the Nitro Thunder NDF-01 chassis (item no. 43514). With the NDF01 chassis able to be used on both off-road and on-road surfaces, these up-grade damper springs help you get best performance on each surface. Medium spring features same resistance as damper springs provided with Nitro Thunder, soft springs are recommended for off-road running, and hard springs give you good road holding for fast on-road running. 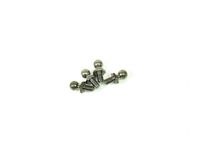 These options parts are compatible only with the NDF-01 chassis unless noted otherwise. Use with 53853 Racing Truck Wheels and 53854 V-Tread Block Tires to adjust machine's gear and set engine load too appropriate level. Large-size "Monster Truck" wheels to raise R/C chassis, enabling excellent running on all manner of rough terrain. Must be used with ITEMS 53852 and 53854. "Monster" size V-tread tires enable excellent R/C running on all manner of rough terrain. Must be used with ITEMS 53852 and 53853. 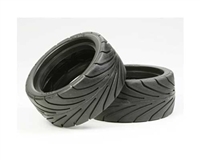 Coinciding with the release of Nitro Force (item 44044) Tamiya releases the specially designed tarmac tires as a spare part. 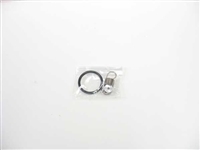 Can also be used as an option part for XBG Nitro Thunder (item 43514) for improved on-road performance. Can be attached to wheel with or without inner sponge. Front and rear stabilizer set featuring a choice of 3 (soft, medium or hard) settings. Stabilizers greatly improve handling during on-road use. Reinforces center bulkhead and propeller shaft joint for more reliable long-term use. 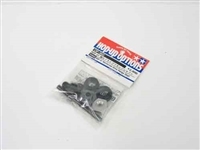 Use with NDF-01Twin Brake Set (53801) for front wheel braking. Specially designed slipper clutch protects your R/C car's drive shaft, clutch and engine from the rigors of off-road running and stunt jumping. Cannot be used with ITEM 53780 NDF-01 2-Speed Transmission.